Widmore has his eyes on the prize. While this week’s LOST certainly held my interest, it was not one of this season’s stronger entries. The primary focus seemed to be on explaining the other side of Sayid’s L.A.-verse story – just how Jin came to be put on ice in the walk-in fridge at the restaurant (He was about to be iced!). But tucked into the framing story on the Island was the revelation that all the people whose names are not crossed off the list in Jacob’s cave must leave the Island together. Well, give the-powers-that-be points for consistency, at least. Recall that all members of the Oceanic 6 had to return to the Island together. And course this admonition echoes the series-long theme of “live together, die alone.” Other threads picked up upon included Widmore’s and Ben’s warnings that “war” was coming to the Island; and destiny vs. free will, as when the Man in Black told Sun he wouldn’t ask her to do anything she didn’t want to. And was it just me, or did MiB hint to Claire that Kate’s name might have been one of those crossed off the cave wall. We did not see her listed back in episode “The Substitute.” And his casual mention after they are off the Island, “whatever happens, happens,” felt like tacit acknowledgment that Claire can cap Kate if she still wants to. Speaking of getting off the Island on that plane, Smokey cannot travel over water under his own power – apparently that’s why the Island is his prison? Forget DOCTOR WHO 5.x, here comes DW 6.x! 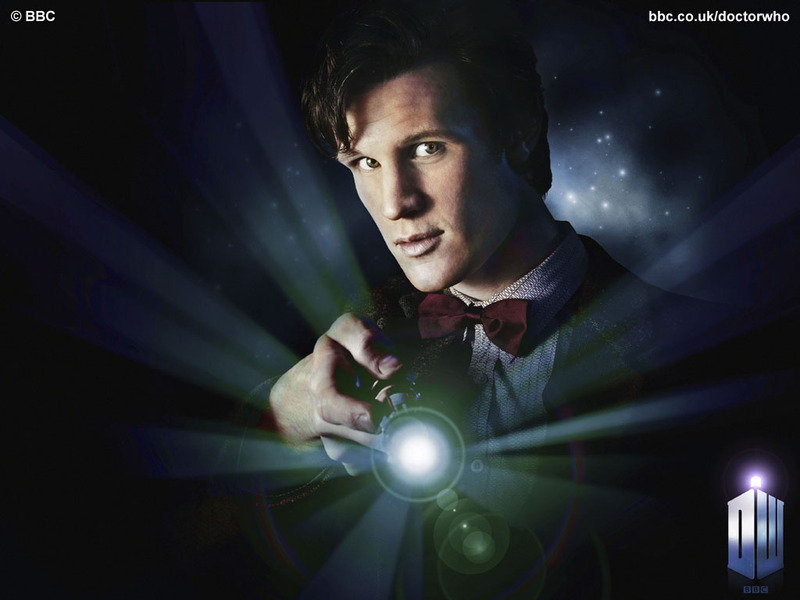 Even better: There will be another Christmas special (set to air…well, you figure it out), and it will be written by this season’s new lead writer, Steven Moffat. On the not-so-bright side, there is some wailing and gnashing of teeth over the announcement that while Smith will return, there was no mention of Karen Gillan coming back as Amy Pond. Folks, I don’t think you should be reading too much into that particular bit of non-news. In my book, that keeps me guessing as to whether Amy will survive this season; it ups the emotional stakes to know her life will actually be on the line as she travels with the renegade Time Lord. If it were announced that Karen/Amy will be in the next series, we would know she survives, and thus there would be no sense of jeopardy. It’s all for the good of the show — which is what we all want. Look for the Smith era to begin in the U.K. on April 3, and here in the States on April 17. If you simply cannot wait, take a peek at the new BBC trailer here, or the even longer (slightly different) BBC America trailer here. So how terrific was LOST this week? After all these years, we finally get the scoop on Richard — and it was worth the wait. We learned everything we needed: Who Richard is, whose death he has on his conscience, why he is on the Island, and what he is doing there. It’s no surprise Richard insisted to Jack, Hugo and the others that they are all dead and the Island is hell — because from his perspective that’s all very true. 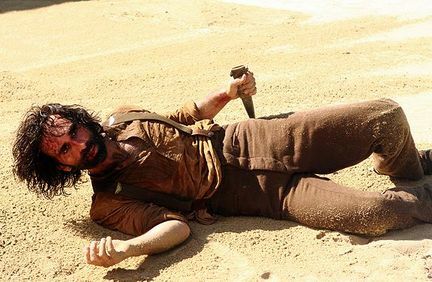 What it boils down to is, Richard (Nestor Carbonell) is something of a modern Job: He’s a powerless pawn locked in the crossfire of a battle between higher powers he cannot begin to understand. Woes have been visited upon him for the amusement of others. Everyone who has wielded power over him has let him down or even outright betrayed him — from the doctor who scoffed at the idea of riding out in the rain to minister to Richard’s sick wife, to the corpulent priest who withheld God’s grace and condemned him to hell. There was Magnus Hanso, who instead of rescuing Richard from death by hanging ultimately condemned him by setting him on a course to a far worse living death. And then there are Jacob and the Man in Black, mysterious forces in human form who amuse themselves by using Richard. Only the poor guy isn’t a chess piece — he’s more like a ball they kick around. 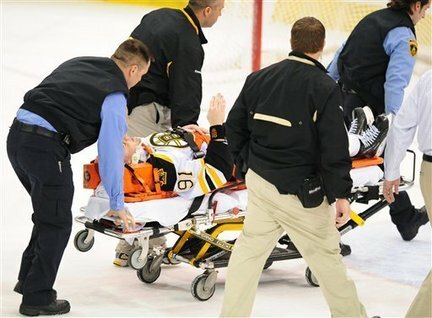 Savard suffered a grade 2 concussion. As a devoted N.Y. Rangers fan, I will never be confused with someone who is sympathetic to the Boston Bruins, but even I have to admit that NHL discipline czar Colin Campbell (a former Rangers coach) made a massive mistake by not imposing a suspension on the Pittsburgh Penguins’ would-be tough guy Matt Cooke for inflicting a cheap-shot on the Bruins’ Marc Savard (a former Rangers player) this week. Savard is finished for the season, yet Campbell declared the hit clean. No penalty was called at the time, but I figured that was because no on-ice official actually saw the incident. Among the justifications for the non-call Campbell served up: Cooke did not leave his feet to deliver the blow; the hit did not meet a league standard for unsuspecting; and shoulder checks are legal. Campbell claimed the “intent to injure” clause did not apply because he apparently could find no reason to apply it. Further, Campbell noted that he wanted the league policy in such a situation to be “consistent,” and cited a case from earlier in the season in which the Philadelphia Flyers’ Mike Richards inflicted a concussion on the Florida Panthers’ David Booth and did not receive a suspension. Psssst, wanna see something really cool? 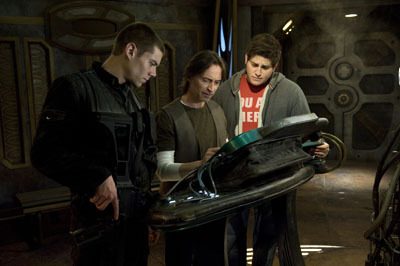 Check out the trailer for the second half of the first season of SyFy’s STARGATE UNIVERSE here, at the official site. The trailer hints at a ton of excitement, including lots of Chloe, wisecracks from Eli, angst, space battles, tech — and aliens! Now, I’ll admit I was slightly disappointed in the premiere of SGU last October, but the three-part story won me over as it unfolded, and SGU quickly became one of my favorite new shows (if not the favorite), and featuring some challenging, fun characters, like Dr. Rush. By the time SGU came to its winter break the show had hit its stride. I was very disappointed to see SGU go off the air for such a long hiatus, but the torment is almost over. We are less than a month away from the premiere of the final 10 episodes on April 2 at 9 p.m.
And the good news does not end there. Production began just this week on the second season, so we are…er, destined to see even more SGU. This week’s LOST gave us another set of long-sought answers amid another fine Ben-centric episode, one that teased out his central motivation (in both universes): lust for power. On the Island, Ilana (Zuleikha Robinson) took Ben (Michael Emerson) prisoner, and he explained how he sacrificed what he valued most — his daughter, Alex (Tania Raymonde) — for the sake of the Island. Or, more specifically, because Jacob (Mark Pellegrino) had led Ben to believe that he had a great responsibility as protector the Island. “I had a chance to save her, but I chose the Island over her,” he confessed. “All in the name of Jacob.” So he stabbed Jacob to death as revenge…but also out of fear of losing his power over the Island’s denizens. Everyone likes to see characters grow and change – but not for the worse. And that was exactly what I feared on the freshman season finale of MAKE IT OR BREAK IT this week, when Kaylie decided to blow off the China meet in order to protect her endorsements and make the dictator of the national committee happy. I know she was having issues with Lauren (Cassie Scerbo), but had never seen Kaylie (Josie Loren) be so mercenary before – and the other girls did not deserve to be shafted. And her decision did not seem to be a matter of putting food on the family’s table, either. Miss Beals from the national committee was all about saving face – ostensibly for the USA, but it was really about her and flexing her muscles. In her way, she was as much a corporate toady as MJ (who at least has the excuse of being an agent). Still, no matter how many endorsements she may have been endangering, Emily (Chelsea Hobbs) was surrendering her scholarship to compete. Then the truth came out: Kaylie was insecure about being able to prove that she deserved to win the national title, so she was looking for any excuse to avoid competing.